Leading Manufacturer of Hastelloy C22 Pipes, ASTM B622 Hastelloy C22 Seamless Pipes, Hastelloy C22 UNS N06022 Welded Pipes, Hastelloy C22 Round Pipes, DIN 2.4602 Hastelloy Square Pipes Supplier in India. Aspirinox Alloys Inc is a leading Hastelloy C22 Pipes manufacturer and supplier. We manufacture premium quality of Hastelloy Alloy C22 Pipes based on the requirements of our customers worldwide. The Hastelloy C22 Seamless Pipes and Hastelloy C22 Welded Pipes is one of our prime best-sellers in the national and international market. The Hastelloy C22 Pipes manufactured by us are basic components used in the electrochemical, mechanical and shipping industries. The Hastelloy C22 ERW Pipes possess exceptional corrosion resistance, high withdrawal rate from factors causing corrosion and hardness. We manufacture Hastelloy C22 EFW Pipes using high-quality raw materials under the guidance of our vigilant workforce. The Hastelloy C22 Round Pipes and Hastelloy C22 Oval Pipes are processed by us using the latest technology and machinery available in the global market. This ensures qualitative product precision and high standards of customer satisfaction. 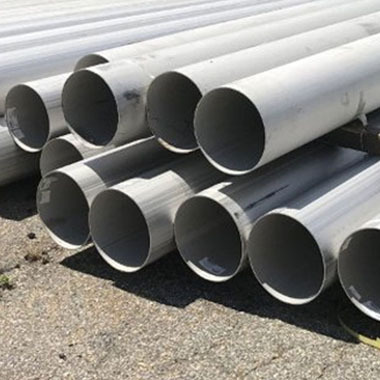 The products belonging to our Hastelloy Pipes stock are provided to our customers at the best affordable and economical prices throughout the international market. The Hastelloy C22 Hollow Pipes unveil a range of qualities like high-temperature resistance and smooth long lasting performance. The Hastelloy C22 Rectangular Pipes are our best-sellers in the Hastelloy C22 Pipes category. Call us for more info! Specifications for Hastelloy C22 Pipes. If any specification is not mentioned here, please use the contact button for quick quote. Request the latest Hastelloy C22 Pipes Price List. Please click on the request a quote button or click here to request the updated price list and ready stock information along with your requirement. Aspirinox Alloys INC maintains stock of all standard items and can export them at best price for Hastelloy C22 Pipes.